By: Demetrios Salpoglou Boston Pads compiled a list of fun things to do in Boston during Fall 2016! 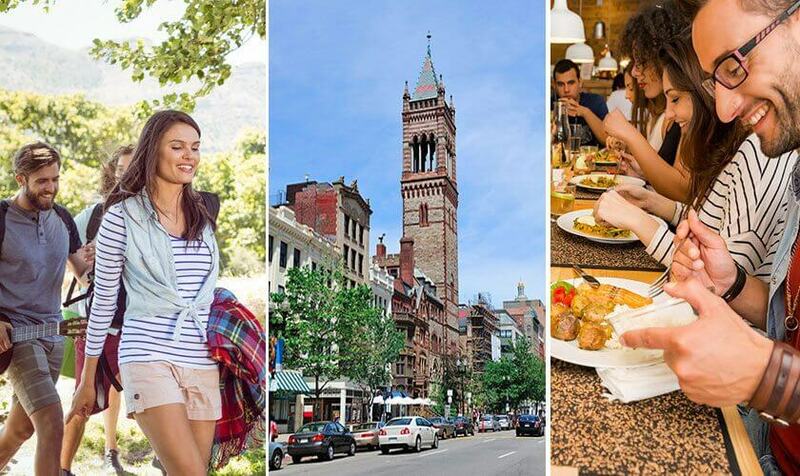 Grab your friends and family to enjoy these attractions in the Greater Boston area. 1. Oktoberfest Beer Hall in Harvard Square Date: Sunday October 9th 2016 10am- 11:59pm Location: Beat Brasserie, 13 Brattle Street, Cambridge, MA 02138 Enjoy music, food and drinks at the 38th Annual Oktoberfest in Harvard Square. The Beat Brasserie transforms into a Bavarian Beer Hall filled with German food, beer and music performed by the Mad Bavarian Brass Band (12pm-6pm). 2. Head of the Charles Regatta Date: October 22-23, 2016 Location: Charles River, Boston MA http://www.hocr.org/ Since 1965, The Head of the Charles Regatta has brought hundreds of thousands of spectators and the world’s best rowers to the city of Boston to participate in a two day competition. The three-mile race lines both Boston and Cambridge for plenty of opportunity for spectators. 3. New England Aquarium Whale Watch Dates: Now- November 20th 2016, Various times available throughout day Location: New England Aquarium Tickets: $49 Adult, $44 Senior, $33 Child (3-11 years), $16 Child (under 3) http://www.bostonharborcruises.com/whale-watch/ Take one of Boston Harbor Cruises, high-speed catamarans out to sea to look for one of the oceans largest and most magnificent creates. Whale Watch Tours available until November 20th 2016. 4. Chambers of Terror Haunted House Location: 59 Wharf Street Salem, MA 01970 Dates: Open daily in October Tickets: Various options from VIP to Regular Admission www.chambersofterror.net/ Enjoy the thrilling Chambers of Terror, be frightened by demons, ghouls, psychos and other creates of the dark. Accessible via the Newburyport/Rockport Line Commuter Train. 5. Apple Picking at Belkin Family Lookout Farm Location: 89 Pleasant Street, South Natick, MA Dates: Open daily 10am-5pm Tickets: $9.00 per person Monday-Friday $15.00 adults Saturday-Sunday, Holidays $13.00 Children under 12 Saturday-Sunday, Holidays http://lookoutfarm.com/ Visit one of the oldest working farms in the country, Belkin Family Lookout Farm, for your typical fall activities including apple picking, train rides, farm animals, hayrides, and more! 6. The Coolidge’s 16th Halloween Horror Marathon Location: Coolidge After Midnight 290 Harvard Street, Brookline, MA 02446 Dates: October 29-30th https://www.facebook.com/events/1636373380022185/ If you enjoy scary movies, this is event is a MUST. For the 16th time, join hundreds of horror movie fanatics for 12 straight hours of terrifying films. The night starts off with back to back showings of Scream and Scream 2, followed by four more petrifying movies. 7. Brewery Tours at Sam Adams Location: Sam Adams Brewery 30 Germania Street, Boston MA 02130 Dates: Monday-Thursday 10am-3pm Fridays 10am-5:30pm Saturdays 10am-3pm Sundays Closed https://www.samueladams.com/boston-brewery/brewery-tours Get your Fall on at one of Boston’s Brewery tours! Learn the history of the Samuel Adams Beer brand as well as experience the entire craft brewing process. Taste samples of various award winning beers (21+). Please bring state or government issued ID to be eligible for sample tasting. 8. mfaNOW Overnight: College Edition Location: Museum of Fine Arts, 465 Huntington Ave, Boston MA 02115 Date: October 14-15th 9:00pm- 9:00am Tickets: Free! Just show up! Join other Museum goers at the all-night party in the Linde Family Wing for Contemporary Art to celebrate this season’s contemporary art and artists. Enjoy food trucks, lawn games, live music and more! Pop around for lectures, artistic demonstrations, and performance art. Be sure to arrive before 9am for free entrance.